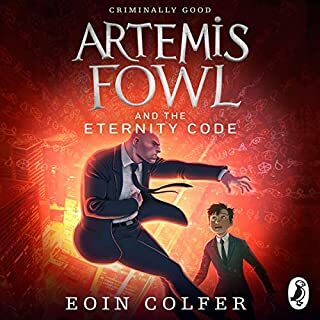 The unabridged, downloadable audiobook edition of Artemis Fowl: The Eternity Code is the third book in the unbelievably brilliant Artemis Fowl series by Eoin Colfer. Read by the actor Gerry O'Brien.Artemis Fowl is attempting to go straight. But there's always time for one last job. Artemis Fowl has created the most powerful new supercomputer known to man - using stolen technology from an elite race of underground fairies. 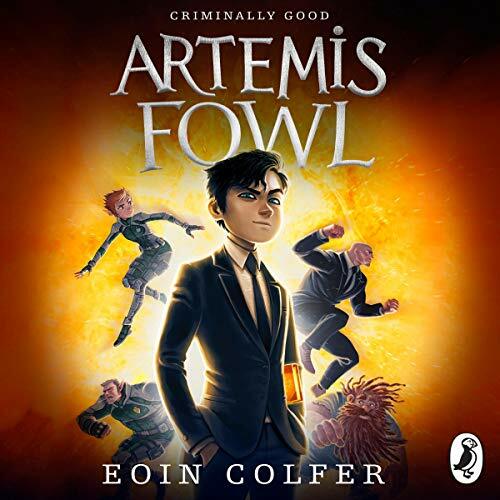 Has criminal mastermind Artemis Fowl met his match? Until recently Artemis Fowl was the only human to have discovered that fairies do exist. But now a second juvenile genius wants to capture one for scientific study - and not just any old fairy. The newcomer intends to trap a demon, the most human-hating species unknown to man. Only an ancient time spell separates the demons from mankind - and Artemis must prevent it from unravelling. Evil pixie, Opal Koboi, is back and she’s more dangerous than ever. This time she doesn’t just want power over the fairy People - this time she wants the humans too. Captain Holly Short is the only fairy with a hope of stopping her, but as Holly knows, it takes one genius criminal mastermind to fight another. But the 14-year-old genius that Holly is thinking of doesn’t even remember that fairies exist. 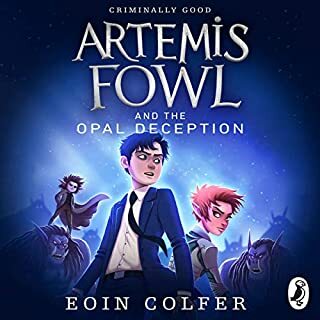 How is she going to convince Artemis Fowl to help her stop Opal? Artemis Fowl is no stranger to trouble. In fact he's a magnet for it. Man-eating trolls, armed and dangerous (not to mention high-tech) fairies, flame-throwing goblins - he's seen the lot. He had decided to forego criminal activity of the more magical kind. However...now his mother is gravely ill. He must travel back through time to steal the cure from the clutches of the devious mastermind.... Artemis Fowl. Will the real Artemis Fowl please stand up? Criminal mastermind Artemis Fowl has summoned an elite group of high-tech fairies to Iceland. He wants to present his invention to save the world from global warming. But something terrible has happened to him. 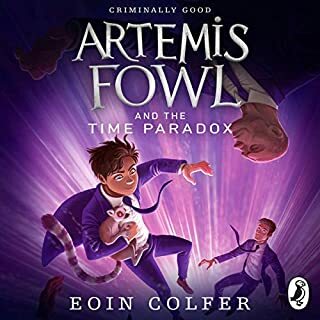 Artemis Fowl has become nice. The fairies diagnose Atlantis Complex (aka multiple-personality disorder) - dabbling in magic has damaged Artemis's mind. And now the subterranean city of Atlantis is under attack from vicious robots and nice Artemis is no use to anyone. This is the story of Thomas "Tommo" Peaceful, a young soldier who finds himself in Belgium, in the trenches of the First World War, with his brother Charlie. It is also the story of Tommo’s life, growing up in Devon with his brothers, and of his love for Molly, the beautiful girl he met on his first day at school. As the story unfolds, from past to present, so approaches the hour when Tommo and Charlie will be separated forever. Carter and Sadie Kane, descendants of the magical House of Life, are in pretty big trouble. Despite their bravest efforts, Apophis, the giant snake of Chaos, is still threatening to plunge the world into eternal darkness. Now the Kanes must do something no magician has ever managed - defeat Apophis himself. No pressure there then. Battling against the forces of Chaos, their only hope is an ancient spell - but the magic has been lost for a millennia. 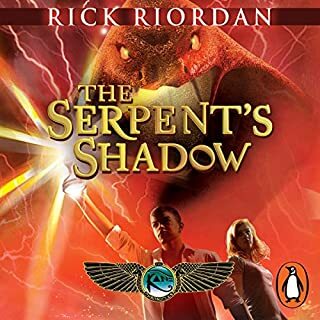 Will they find the serpent’s shadow, or will they be led to their deaths? 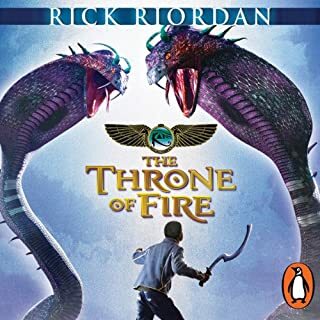 The unabridged, downloadable audiobook edition of The Kane Chronicles: The Throne of Fire, read by Joseph May and Jane Collingwood. 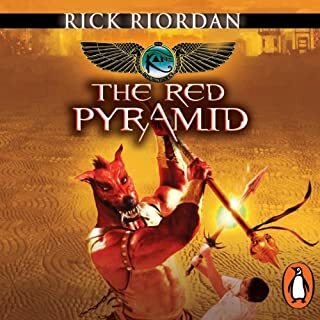 Ever since the gods of Ancient Egypt were unleashed on the modern world, Carter Kane and his sister, Sadie, have been in big trouble. As descendants of the magical House of Life, they command certain powers. 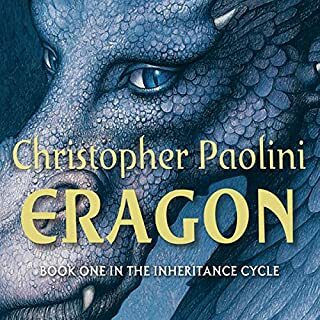 When Eragon finds a polished stone in the forest, he thinks it is the lucky discovery of a poor farm boy; perhaps it will buy his family meat for the winter. But when the stone brings a dragon hatchling, Eragon soon realizes he has stumbled upon a legacy nearly as old as the Empire itself. Overnight, his simple life is shattered, and he is thrust into a perilous new world of destiny, magic and power. Felix lives in a convent orphanage high in the mountains in Poland. He is convinced his parents are still alive and that they will one day come back to get him. When Nazi soldiers come to the orphanage Felix decides to escape and make his way home. The journey to find his parents is a long and difficult one, as all of Poland is occupied by the Nazis and a dangerous place for a Jewish boy. 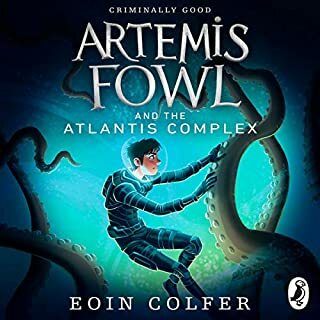 The unabridged, downloadable audiobook edition of Artemis Fowl, the explosive first novel in Eoin Colfer’s best-selling Artemis Fowl series. 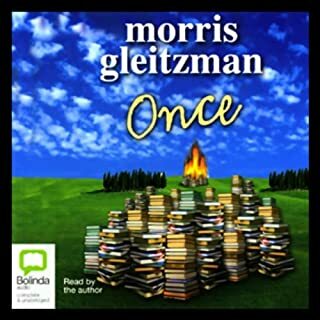 Read by the actor Gerry O’Brien. Twelve-year-old villain Artemis Fowl is the most ingenious criminal mastermind in history. His bold and daring plan is to hold a leprechaun to ransom. But he’s taking on more than he bargained for when he kidnaps Captain Holly Short of the LEPrecon (Lower Elements Police Reconnaissance Unit). For a start, leprechaun technology is more advanced than our own. Add to that the fact that Holly is a true heroine and that her senior officer Commander Root will stop at nothing to get her back and you’ve got the mother of all sieges brewing! Well, this was my first experience with audible. I must say I was skeptical about it. but I am amazed by the quality and the way book is read. I always get a bit nervous getting a "Bestseller", as they can be a crushing disappointment if it's just hype. I am delighted to report, this book is actually very good. the narrator here truly nailed it. a brilliant performance! the story itself was great fun. the titular Artemis was by far the best of the lot. I didn't much care for the fairies, but they weren't bad, just not as good as the rest. 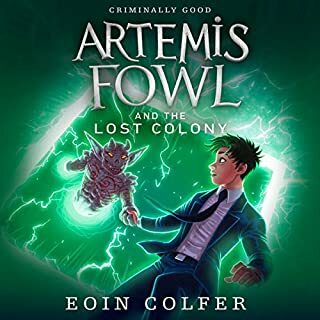 Artemis fowl is a devious, extremely intelligent character that can pull off a complex money making plan to make millions of dollars for a long line of fowl ancestors home to stay in the family. A sick mother, a lost farther, a military trained butler and a teenage maid are the main characters in this gripping novel. 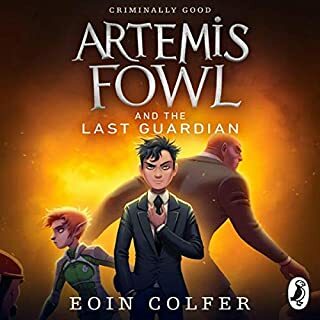 What did you like most about Artemis Fowl? story was ok. funny, fast. Who might you have cast as narrator instead of Gerry O'Brien? Gerry was chosen for his Irish accent. I prefer Michael Kramer as a narrator. 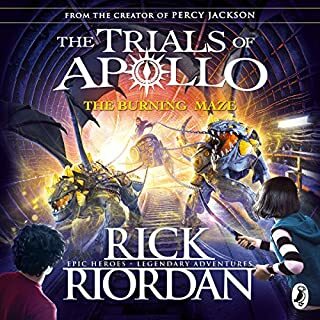 It is hard to pinpoint why but this audio book was difficult for me to hear compared to other ones that I had listened to. Perhaps it is a bad recording, perhaps the narrator moved his head around relative to the mic. It seemed that at the start of each paragraph he was mumbling or he was quiet. Also, i chose this one to listen to so I could play it in the car while my daughter may listen. I thought that choosing a teenager book i would make sure it was ok. Sadly it contains the word piss and a dwarf who fires poo at people. I would. I enjoyed the narration and the story was well thought out and funny. I liked all the characters. 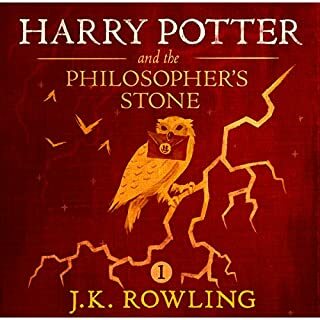 I am looking forward to learning more about them in the other books. What aspect of Gerry O'Brien’s performance might you have changed? He has a gruffer voice than I expected and it took a while to get used to. He doesn't do individual accents, which I thought was a blessing. Men don't always do female voices well. I did laugh during this. I won't give away any moments. It was a good story, well thought out and presented. Overall the story is great and very compelling, however, at some points Artemis sounds a bit like the Joker when he's about to die in Arkham City, almost... Wheezy. Although, it's not necessarily a bad thing, just a strange narration choice. Also, Artemis sounds completely different to how he's described. Again, not necessarily bad, just strange. I have read Artemis Fowl many times and very much enjoyed this reading by Gerry O'Brien. 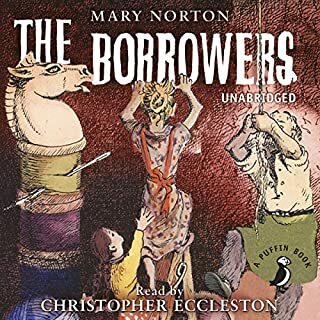 Excellent narration - gave this tale LIFE! 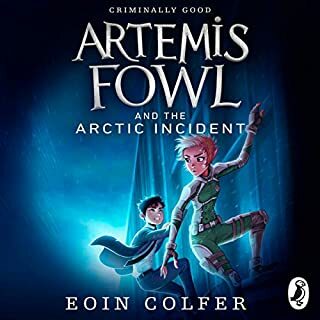 First time listening/reading Artemis Fowl series. 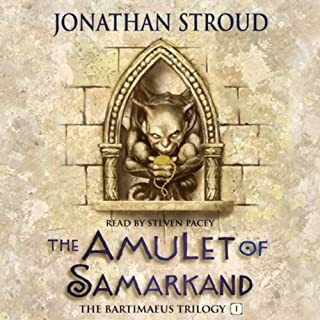 Though the start of the tale was a bit slow, the story built pace very quickly by chapter 3 into a wonderfully detailed recounting of events over less than a day, story-time. 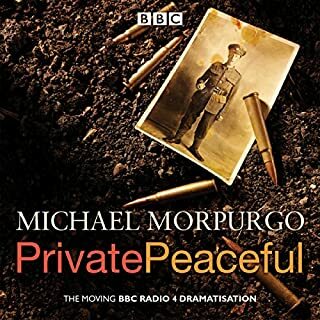 Very glad I audiobooked it, Gerry O'Brien's narration really brought another level of engagement to the story. An absolutely wonderful telling of one my favourite books from my younger years. I know the book so well there were times I was speaking along with Gerry and his impeccable performance. It was awesome! 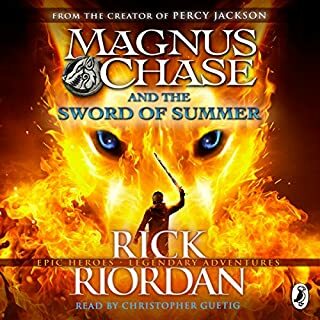 Will definitely be checking out of the audiobooks in the series too. The nostalgia is real! A great mix of invention and paediatric comedy, if somewhat a breath giving exercise, it gave me life. An awesome story beautifully written and read the style is wonderful and sweeping. The story draws you in. an excellent story. easy to follow with just the right number of characters. well read and funny.